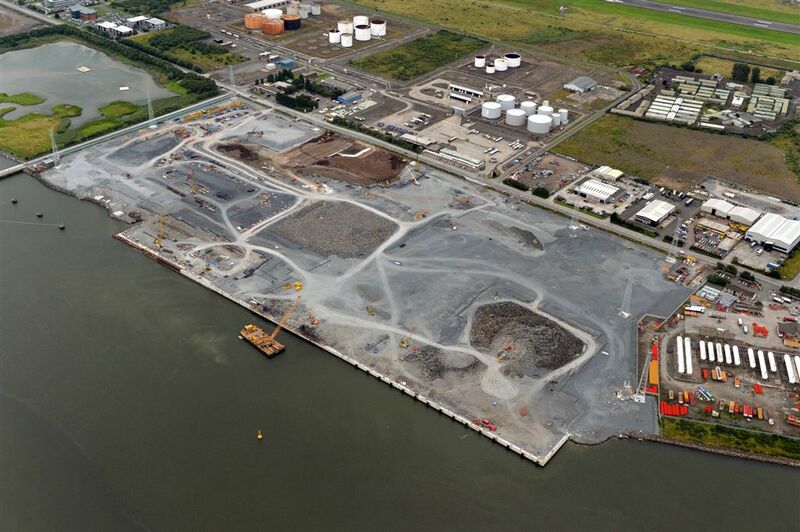 Farrans Construction used the aerial site progress photography services of Esler Crawford to monitor the progress of the D1 Off-Shore Wind Turbine facility at Belfast Harbour Estate. 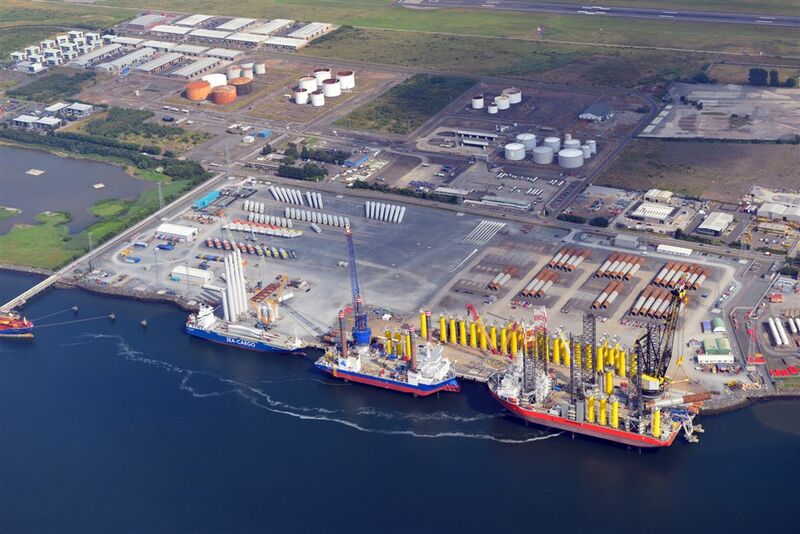 This was a £51m, 60 week contract to build a 500m long deep water quay which allows up to three purpose-built heavy lift jack-up vessels to berth simultaneously. The project used close to 1,000,000 tonnes of aggregate and rock armour and in excess of 100,000 tonnes of reinforced concrete. Also used was an innovative piling system in which a bespoke rig was used to install 367 steel under tubes at a 1 in 3 rake. 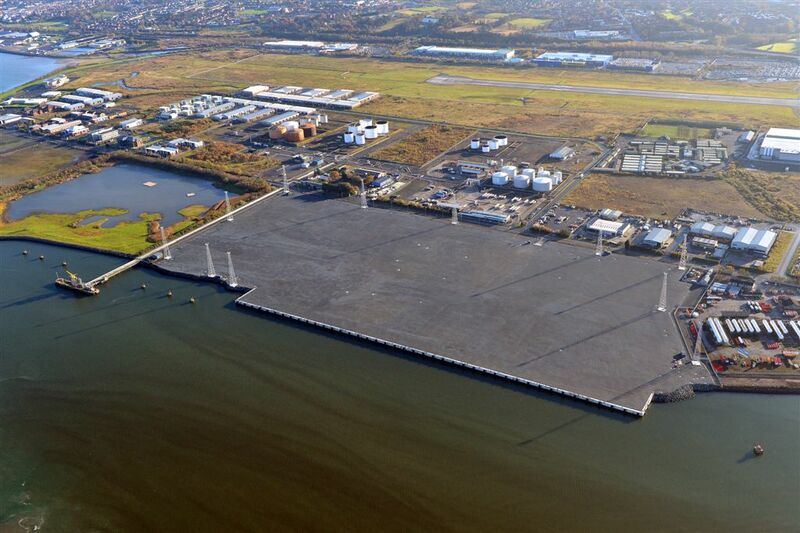 It also involved the placement of 90,000 sqm. of specially developed geogrid. 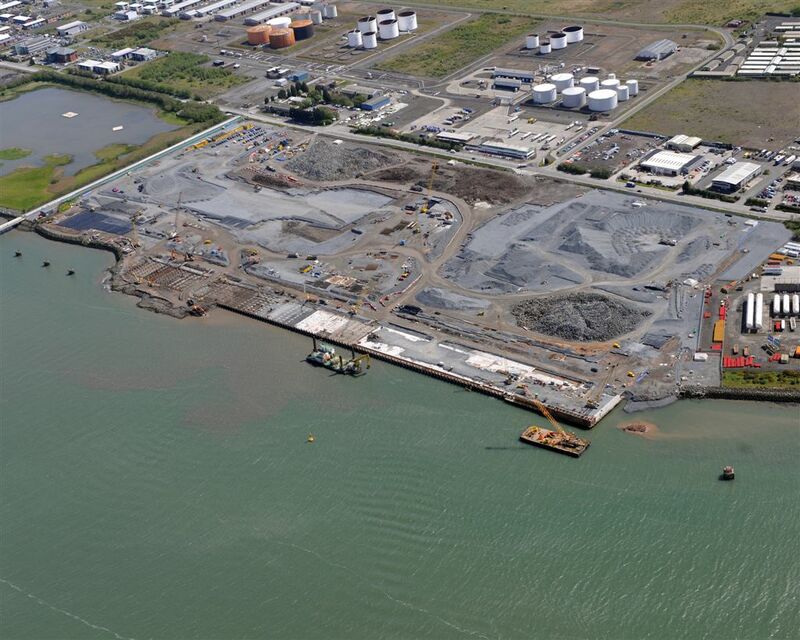 On May 13th 2013 the facility completed loading the first element destined for the West of Duddon Sands site in the Irish Sea.